BEST FIGHTER FOR CANADA: What does Canada REALLY need? When discussing which modern fighter jet would be best for Canada, there is a tendency to go off on tangents when debating each aircraft's strengths and weaknesses. "Fighter X" may be faster, while "Fighter Y" can carry a heavier payload, etcetera. Sometimes we get so bogged down in various minutia that we lose sight of how well a particular aircraft would function as a whole. One thing that I like to stress here is that this is not simply "Best Fighter" but "Best Fighter for Canada". 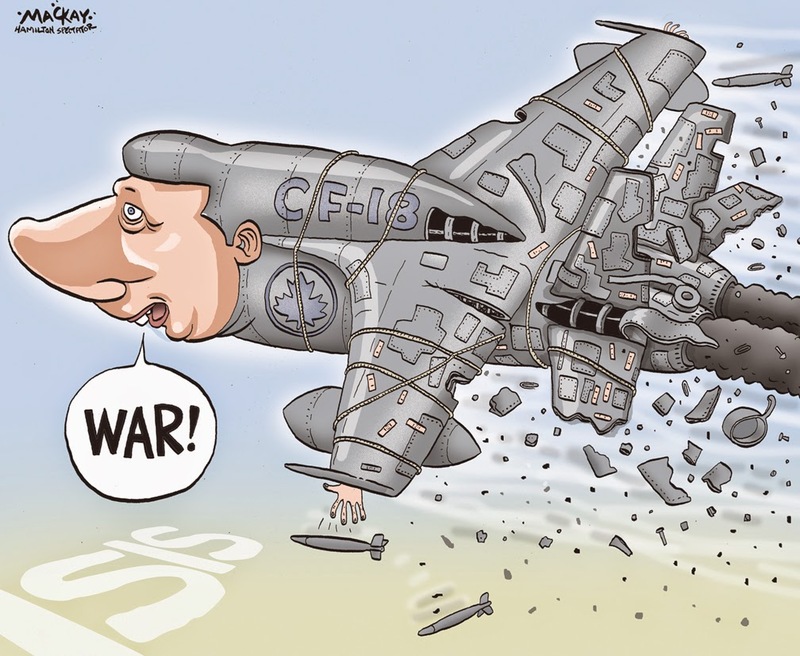 That means that we are not simply looking for the best fighter jet, but the best one that actually fits Canada's needs. But what does Canada truly need? During the Cold War, when defense budgets were flush and Canada was still willing to design and build its own military aircraft. This allowed us the freedom of "custom" building a fighter based on our needs at the time. So what did Canada choose to go with when we had the freedom of a clean-sheet design? 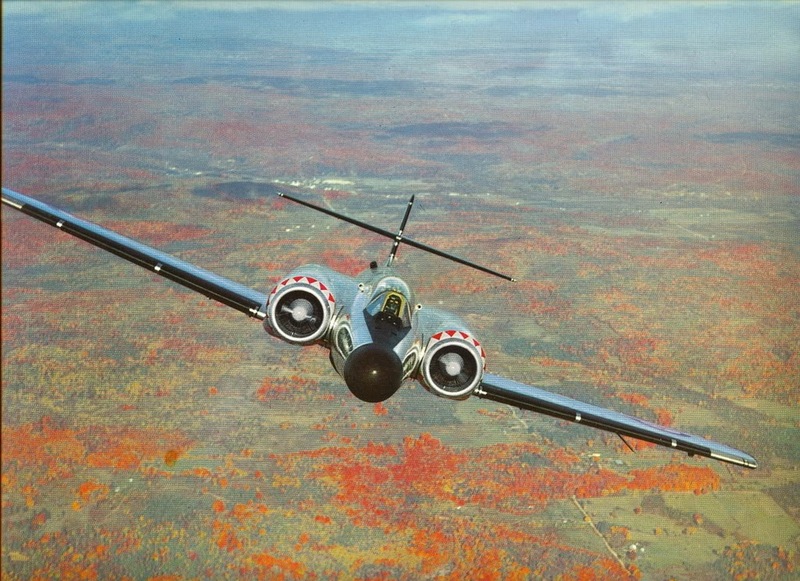 Canada's first indigenous fighter aircraft was the decidedly unsexy CF-100 Canuck. With nicknames like "Clunk", "Lead Sled", and "The Beast"; the CF-100 lacked the aesthetic appeal of sleeker fighters like the CF-86 Sabre. Its armament of .50 calibre machine guns and unguided rockets seem quaint by today's standards, but air-to-air missile technology was still in its infancy at the time of the Canuck's development. The Canuck was not without its charm, however. Whereas the CF-86 was strictly a day-fighter, the Canuck was capable of operating at night, and in most weather conditions. It also had a much longer range than the Sabre, and housed a radar in its black nosecone. The CF-100 proved to be quite rugged as well, with an airframe capable of 20,000 flight hours. Even after its interceptor role was taken over by the CF-101 Voodoo, the Canuck continued to fly until 1981 performing reconnaissance, training, and electronic warfare roles. The CF-100's intended replacement, the CF-105 Arrow, did not quite so well. While it certainly would have been an impressive fighter, in the end it was too expensive to warrant its limited mission. It met the same fate as other big interceptors like the XF-108 Rapier and the BAC TSR-2. In the end, Canada did just fine with a fighter that was simple and rugged. Past and present... What about the future? During the Cold War, the RCAF's fighter needs were quite obvious: We needed to beat the Soviets. We needed interceptors to halt any bomber incursion and strike fighters ready to participate in a European ground war. 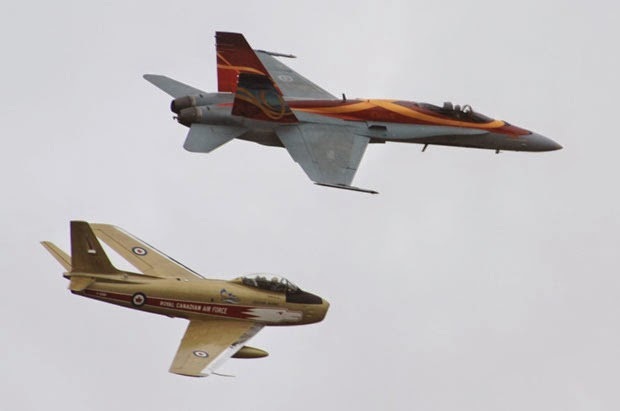 Lucky for us, we managed to find an aircraft that could do both when the RCAF adopted the CF-18 Hornet. When compared to its contemporaries, the F/A-18 Hornet is a rather... Boring. Aircraft like the F-14 Tomcat and F-15 Eagle are superior interceptors. For the strike role, the A-6 Intruder and FB-111 Aardvark are preferable. Where the Hornet excels, however, is versatility. It is just as happy to intercept enemy bombers as it is providing close-air-support to ground troops. The F/A-18 is a true multi-role fighter. Not only that, but it has an airframe tough enough to withstand repeated carrier landings and has proven capable of operating from Canada's remote Forward Operating Locations up north. Over its (extended) lifetime, the CF-18 has proven its worth to Canada. Whether in the form of intercepting Russian bombers or bombing ISIS/ISIL targets, the CF-18 Hornet has earned its place in RCAF history. So what does Canada need for its next fighter? Given the usefulness of the CF-18, as well as the unpredictable nature of their combat mission over the last few years, we should all agree that any replacement for the Hornet should meet or exceed its current capabilities as far as range, payload, and the like. 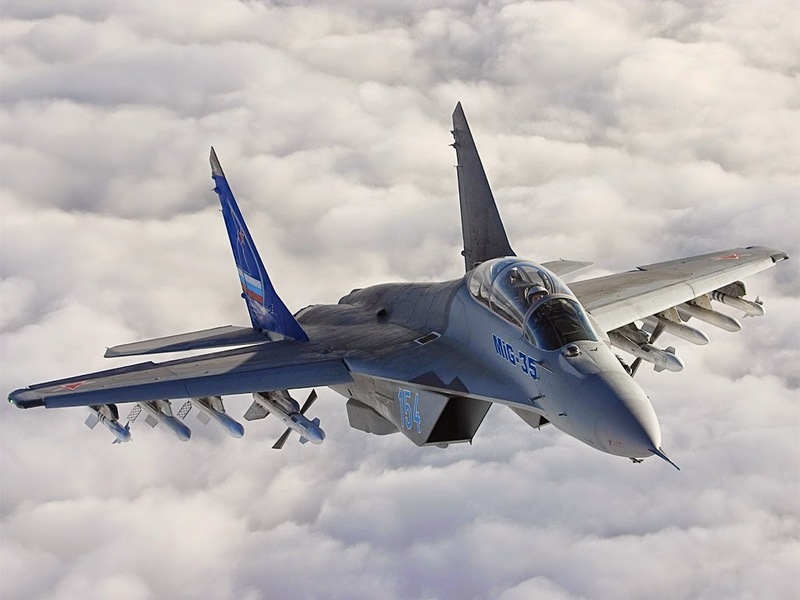 Military aviation technology has improved steadily since the CF-18's introduction, and there are are plenty of multirole fighters to choose from that can not only match the Hornet, but exceed it. This is where it gets sticky, however. The most obvious thing to do is to simply replace the CF-18 with whatever is to simply do what the Americans did. The USN's F/A-18As and F/A-18Bs have already been phased out in favor of F/A-18Cs and F/A-18Cs, however (RCAF CF-18s now mostly meet this standard). Currently, the plan is for the USN to replace its legacy Hornet fleet with the F-35C. Having no aircraft carriers, Canada has no need for the F-35C. 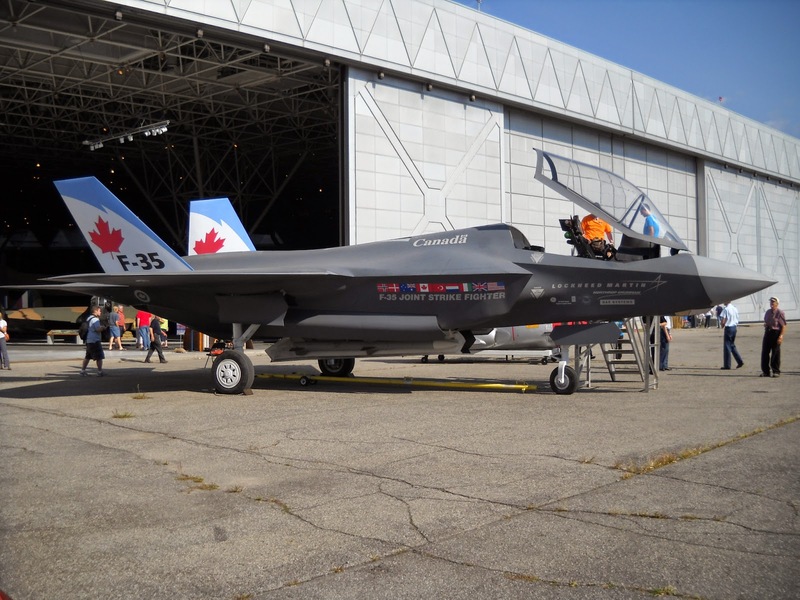 Its USAF counterpart, the F-35A, lacks the probe-and-drogue aerial refueling system found on the CF-18. It also lacks the ability to land on short runways. The F-35 has also met with budget overruns and delays. Enough so that many nations are second guessing their planned purchases, while others are hedging their bets by purchasing "interim fighters". There are also reports that the JSF is not well suited to the air superiority role. Needless to say, this has many questioning whether or not the Lightning II is the best choice. The issue here is that it is impossible to determine what the best choice actually is until we determine what Canada's priorities are. Do we want stealth? Supercruise? Strike capability? Two engines? Ask five different "experts" and you will likely get five different answers. Ideally, Canada would purchase a stealthy, supercruising, twin-engined fighter... Too bad we cannot do such a thing, even if we could afford to. Instead of looking at what we want, let us focus on what Canada needs. The Government has established a level of ambition for the Canadian Forces that will enable them to meet the country's defence needs, enhance the safety and security of Canadians and support the Government's foreign policy and national security objectives. To fulfill these commitments, the Canadian Forces must be able to deliver excellence at home, be a strong and reliable partner in the defence of North America, and project leadership abroad by making meaningful contributions to international security. To carry out these missions, the Canadian Forces will need to be a fully integrated, flexible, multi-role and combat-capable military, working in partnership with the knowledgeable and responsive civilian personnel of the Department of National Defence. This integrated Defence team will constitute a core element of a whole-of-government approach to meeting security requirements, both domestically and internationally. Canada needs a fighter that can perform air policing. That means being capable of reaching just about any part of Canada's sovereign airspace in order to intercept anything from bomber to a hijacked airliner. To do so, a sufficient number of fighters in the right place, at the right time. 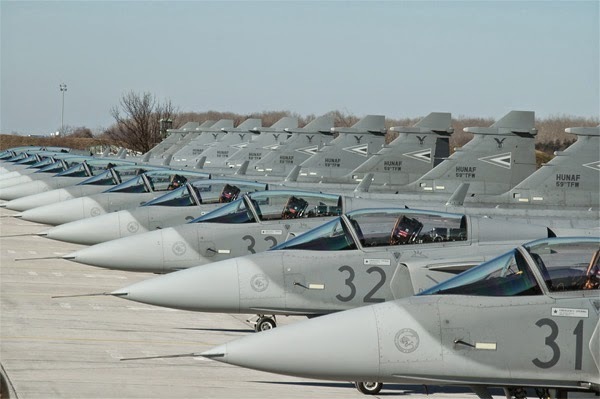 To do this, Canada's next fighter needs to be able to operate from RCAF bases across the country, including the northern Forward Operating Locations in Yellowknife, Rankin Inlet, Iqualuit, and Inuvik. Hangar queens need not apply. Lucky for Canada, we just so happen to have the world's largest military force as a friendly next-door neighbor. Being part of NORAD is a huge benefit to Canada, as it provides a substantially higher level of defense than if we were to go it alone. We still have to do our part, however, and whatever military resources we use will work best when they get along with their American counterparts. Just because the USA has the world's largest military, does not mean their resources are limitless, however. Canada's military needs to be prepared to assist its southern neighbor if the need arises. In that case, Canada would still need to defend itself, while rendering aid to others as well. As a founding member of NATO, Canada has an obligation to assist other NATO members in matters of defense. It also means contributing to coalition actions and the like. In other words, Canadian fighter jets may be required to deploy just about anywhere in the world on short notice. In addition to this deployment, enough aircraft must be left behind to defend the home turf. Whatever fighter Canada ultimately decides on, we need enough of them to perform all these missions. Any argument that one aircraft is superior to another is made moot if that "superior" aircraft is not sufficiently available when needed. An CF-5 Freedom Fighter in the air is a far better air-superiority fighter than an F-22 that cannot leave the hangar. Simply put, Canada needs an aircraft that be purchased in large enough numbers, can operate alongside our NATO allies, and be capable of operating from just about any environment. Not being able to fulfill any of these requirements should remove that fighter from consideration entirely. As advertised, all of the current fighters being considered (F-35, Super Hornet, Typhoon, Rafale, and Gripen) fit the bill... Although the F-35 may have to wait for a drag chute before it can operate from some locations. The competition. Super Hornet, Rafale, and Typhoon (from left to right). If all the fighters meet the minimum criteria, how do we pick one? Where do we place our priorities? 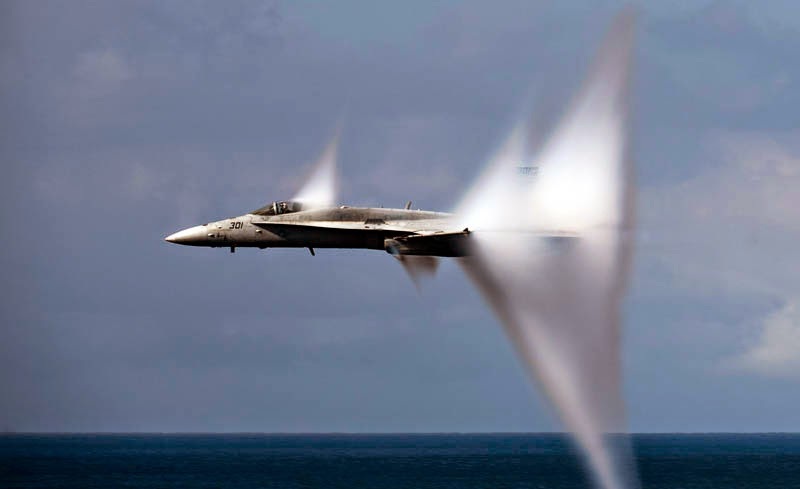 There is a reason why a fighter jet's speed is often mentioned. Not only does extra speed allow a fighter the ability to intercept enemies faster, but an aircraft's combat prowess is dependent on how much kinetic energy (speed+altitude) its pilot has to work with. In essence, an flying at a higher altitude and a higher speed has an advantage over a lower, slower aircraft. Not only does speed allow for more maneuvering, but that speed carries over to that aircraft's missiles. An air-to-air missile fired from a fighter flying at mach 1.5 has more speed, range, and an improved pK (probability of kill) than one fired from the same fighter flying at subsonic speeds, assuming all other variables are identical. Some aircraft, like the F-22 Raptor and the Eurofighter Typhoon, are capable of supersonic speeds without the use of gas-guzzling afterburners. Ideally, an aircraft capable of supercruise would be preferable. A fighter aircraft's speed is only one part of the equation. The aircraft needs to be able to both detect, track, engage, and (if needed) destroy enemy targets. This means utilizing advanced sensors, radar, and weapons. The "gold standard" with modern fighter aircraft is the inclusion of an AESA (Active Electronically Scanning Array) radar and an IRST (infrared search and track) system. Both systems allow a fighter aircraft to better detect threats, while being less detectable themselves. Of course, you cannot really call a fighter a "weapon system" until you start mounting weapons. For a multirole fighter, that means an assortment of BVR (beyond visual range) air-to-air missiles, WVR (within visual range) air-to-air missiles, air-to-ground missiles, smart bombs, and even "old fashioned" cannons. The more varied the weapon selection, the better. Just as important as the sensors and weapons are modern data-links that allow one friendly unit to share data with another. This data sharing allows for "wolf-pack" like tactics where one unit detects and tracks while another unit goes in for the kill. 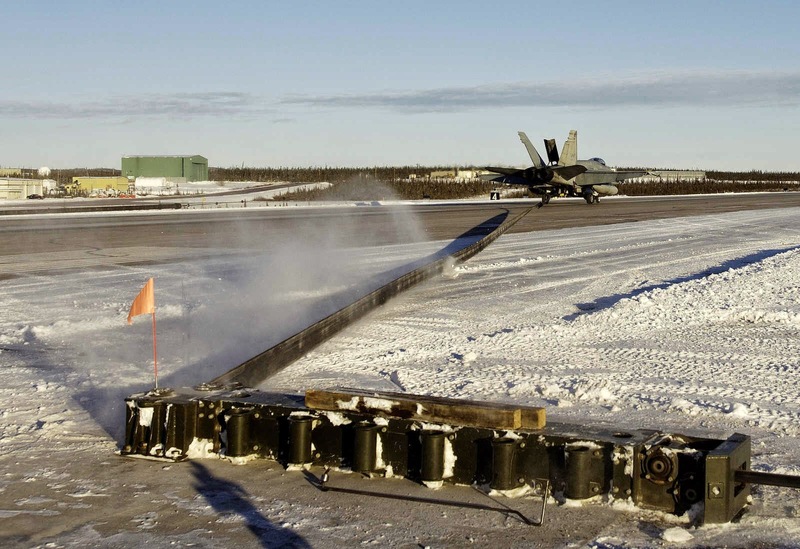 CF-18 landing at FOL Inuvik with the help of its arrestor hook. The aircraft needs to perform a myriad of duties, not only in Canadian airspace, but overseas as well. Operating out of a large airbase like CFB Cold Lake will be a luxury compared to some other, more austere locations. Long runways, warm hangers, and lots of maintenance resources should not be taken for granted. The runway issue can be solved in several ways. Utilizing a STOVL aircraft, like the AV-8B Harrier or F-35B, easily solves the runway issue, but these STOVL aircraft are far more expensive to procure, and have shorter range compared to their more traditional counterparts. Another method, like that currently used by the CF-18s, is to use aircraft carrier-style arresting wires and hooks. This method limits the aircraft selection to those with carrier capability, however (like the Super Hornet or Rafale). Other methods include drag chutes (like that proposed for the F-35) or an aircraft capable of STOL (short take-off and landing) like the Saab Gripen. Just because an aircraft can take off and land on a short runway does not make it feasible for all operations. It still needs maintenance and other resources. For example, F-35B may be a STOVL, but it requires a specially prepared "landing pad" due to its hot exhaust temperature. There is also the question about whether a fighter needs a special hangar, special refueling assets, or other treatment. No matter how effective a fighter is, it is of no use if a military cannot afford it. Purchase costs, operating costs, the cost to train pilots and maintainers; it all adds up. Canadian politics over the last several years has proved quite worrisome for DND budgets. While all the politicians promise to "support our troops", our defense spending is often cut in favor of balanced budgets. In the meantime, old military equipment is forced to soldier on long past its prime. Years of neglect has taken its toll on the Canadian military, and the time has come when we need to make some hard decisions about how to spend our limited funds. Procurement costs are only one part of the equation, however. Over its lifetime, an aircraft's operating costs will far exceed its purchase price. Fuel, maintenance, storage, upgrades, even eventual disposal; they all add up. For those making up budgets, the answer to high operating budgets is simple: Reduce operations. This reduces training, combat readiness, and weakens our overall defense. The best defense against budget cuts (possibly a military's greatest enemy) is to purchase equipment that is affordable, both in the short term and the long term. Cheap and effective systems have a tendency to win fans in high places. Often, you will see the term "future threats" used as a vague, ominous warning that we need the most advanced, most sophisticated imaginable in order to counter whatever the future may bring. 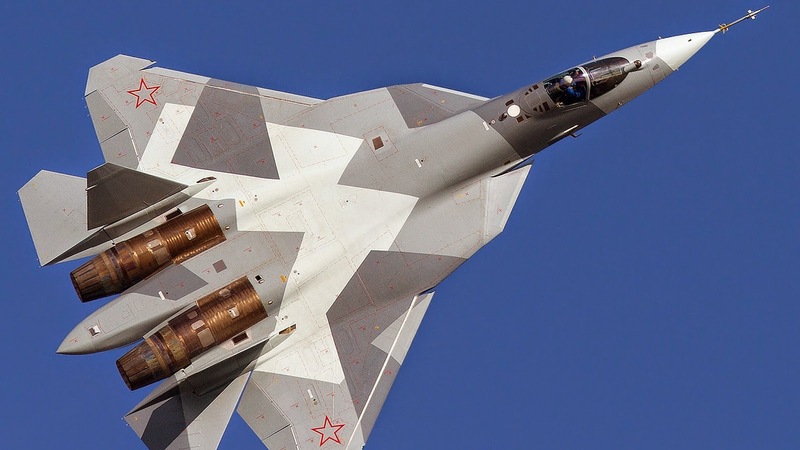 Foreign aircraft like the Russian PAK FA and Chinese J-20 certainly look impressive, and one could be excused for wondering if older "4th generation" aircraft would be up to the task. It should be noted that these aircraft are still very much in development, with widespread deployment still years away. Acquisition by "rogue nations" is unlikely, even in the long term, due to political pressure. Also, despite their outward appearance, they lack much of the sophistication found in western aircraft. One would be foolish to write these aircraft off completely, but the true threat will likely be aircraft modernized versions of the easily procured Su-35 and J-10B. Reliable, affordable, and effective weapon systems have a habit of sticking around longer than expected, anyway. The venerable B-52 bomber is an example of this, as it has outlasted many of its planned replacements, and will likely serve almost 100 years before it is finally retired. In the end, it would be foolish to attempt to make an aircraft "future proof". The very existence of a weapon system encourages its own counter, that is just how warfare evolves. Stealth has been around long enough that methods are being developed to counter it. 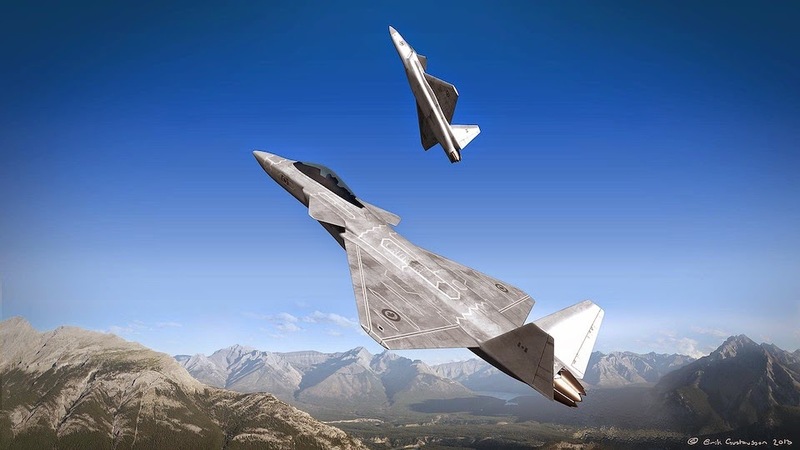 Even now, plans are underway to develop the "next generation" of fighter aircraft. The only way to truly "future proof" a military is to keep the equipment up to date. That means that as soon as Canada decides on its CF-18, it will be time to start questioning what Canada will need to replace that. In the end, Canada needs a fighter that is fast, fierce, flexible, and frugal. Some may demand two engines, or stealth, or sensor fusion... But in the end, all that really matters is that the RCAF is able to do its job. Give people the right tools, and the job will get done.